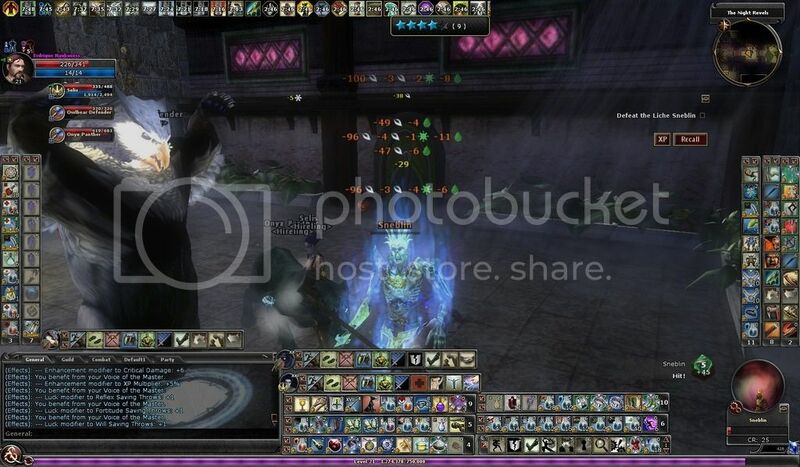 This weekend, the DDO developers at Turbine gave us a first “live” look at the Night Revels. The new Halloween event was turned on for the live servers during Friday (October 23rd) and ran through Saturday morning to around 10 am or so. While it was turned on, I had the opportunity to take a quick look at it. Like the old Mabar event, it takes place primarily in Delera’s Graveyard. When you enter Delera’s Graveyard, you get the opportunity to select your appropriate level range and then to encounter randomly spawned undead (or possibly shadar-ki depending on your level) just like the old Mabar event and similar to what you encounter in Smuggler’s Rest (although with Smuggler’s Rest you don’t get the opportunity to select your level range). As you engage and defeat the undead you will get a chance to collect dark chocolates or a key. The dark chocolates are used in the recipes for the various awards offered during the event while the keys allow you to enter one of four different Halloween themed quests (the same key is used for all four quests). Erdrique reminiscing about the old summing chamber. Delera’s Graveyard pretty much remains the same. The addition of the four quests is one huge difference between the Night Revels and the old Mabar event. You no longer have to unlock the summoning chamber and to fight the spectral dragon Misery to get all the ingredients you need for event rewards. 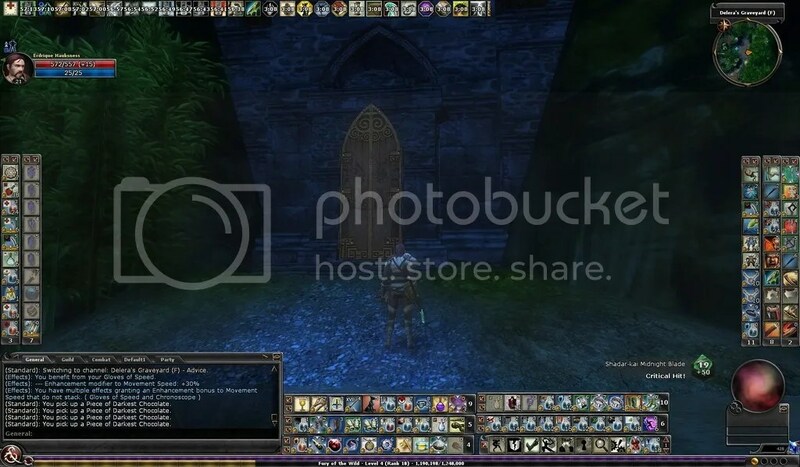 Instead, once you get a key, you can enter one of four different portals are positioned throughout Delera’s Graveyard. Each portal leads to a different quest. 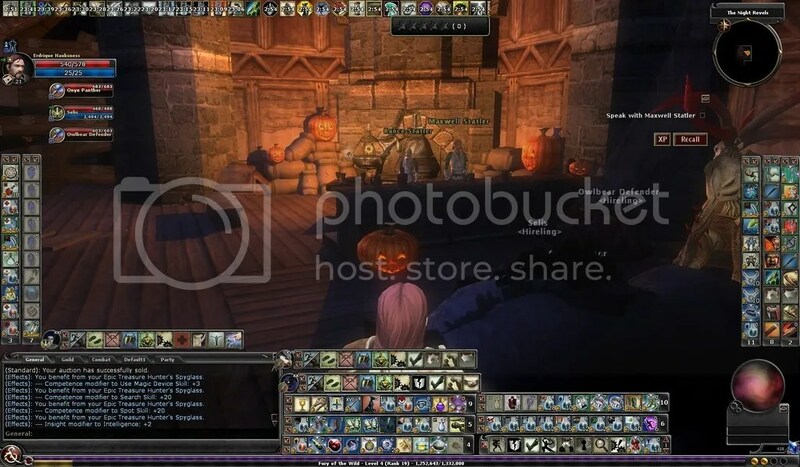 The quests are remakes of current quests but outfitted with a Halloween theme. The “new” quests contain pumpkins and jack-o-lanterns throughout and you fight primarily undead versions of the usual mobs. These new quests are called Haverdashed (from Haverdasher), Kobold’s Newest Ringleader (from Kobold’s New Ringleader), Under New Ravagement (Stand Your Ground), and The Snitch and the Lich (from the Snitch). All of these remade quests are short, which is really nice, and they reward you with a different type of ingredient that is also used with the dark chocolates you received from Delera’s Graveyard for the event loot. The longer quests have been shortened (the Snitch for instance doesn’t start out in the tavern but more into the middle of the quest) which is really nice. Another thing of note, these Halloween themed quests are set up with the challenge technology so you can select what level to do them on. Erdrique noticing that the Statler brothers have decorated for Halloween in Under New Ravagement. Now I was initially worried when I first entered Delera’s Graveyard because it didn’t take long for me to encounter some lag issues, which is one of the primary reasons Mabar was turned off for good. However, the lag cleared up and I was able to continue my way through the event. It didn’t take me very long at all to start gathering some dark chocolates and some keys. On Friday night, I had a key within the first 10 minutes or so of running around Delera’s Graveyard. I then ran Haverdashed and it took me all of four minutes to completed. Another note worthy thing with this event when compared to Mabar, these quests hand out experience when they are completed, and it was a nice chunk of experience indeed. I did the quests with Erdrique (Level 22 Rogue/Fury of the Wild), who was level 21 at the time, on level 21 and got 62,000 experience for each run. The other quests took me from four to 15 minutes to complete. And the one that took 15 minutes was because I took the time to break everything (Kobold’s Newest Ringleader). This was a nice little surprise, as I wasn’t expecting to gather experience during the event and especially not over 240,000 experience. Erdrique battling the lich at the end of the Snitch and the Lich. The enemy spawn rate was just the same as I encountered previously with Mabar and I didn’t see any issues with that. As I mentioned earlier, it was easy for me to obtain keys. In fact, I ran three of the quests on Saturday morning prior to the event being triggered off and I had started to hunt down keys at around 8 am. Overall, I like the redesign quite a bit. I also like the addition of the new loot items and “keeping” of old Mabar items as well. When thing I do wish that could have been done was somehow keeping Misery as a potential boss for one of these quests. If I remember correctly, the bosses are either liches or vampires. I think the boss in Haverdashed is a vampire while the other three have liches. 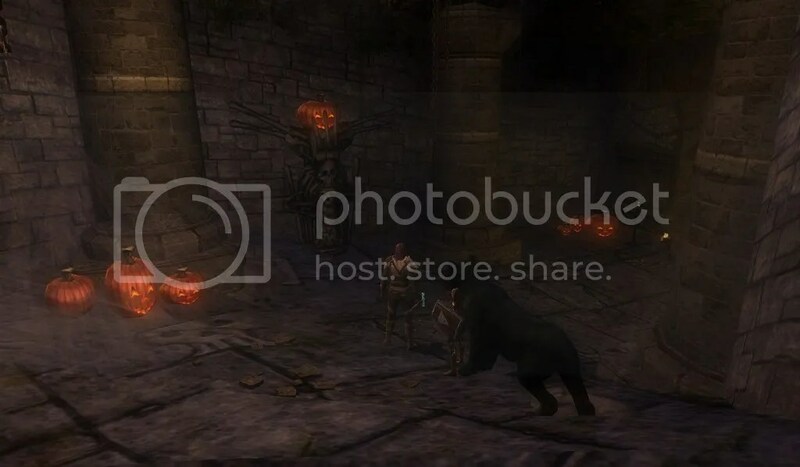 I also wish the same set up could be set up in the Necropolis, the other large graveyard in Stormreach. Maybe that can be done in the future. The Night Revels promises to be a fun event in the future. I’m looking forward to it coming back out this week. I have no idea how much I’ll run it, but I’ll definitely be taking my characters through it. Thanks for reading everybody and happy hunting in Night Revels. 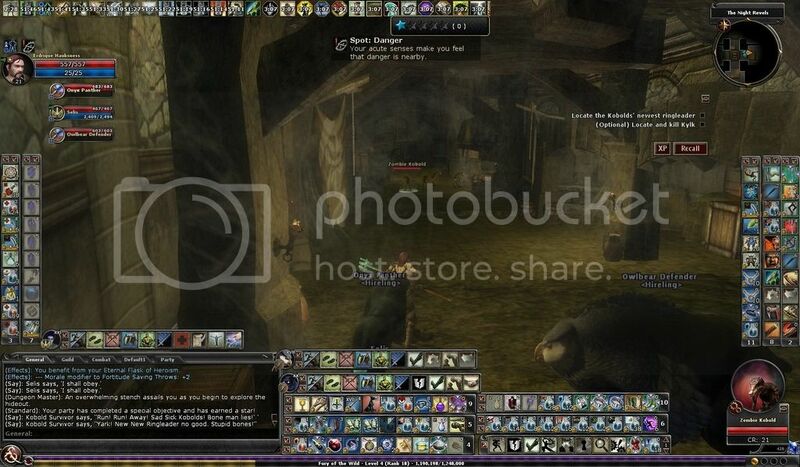 Pingback: DDOCast 404 – Ask the Devs: DDO Store « DDOcast – A DDO Podcast!